The fifth annual preseason #NEChoops party in Brooklyn happens on Wednesday. Barclays Center will once again provide the backdrop as the Northeast Conference ceremoniously tips off the 2016-17 men’s and women’s college basketball seasons. NEC Front Row will carry the festivities live as coaches and student-athletes preview the season ahead. Signing on at 11:00 am ET, Dave Popkin will host both the men’s and women’s portions of the on-air program while Coach Joe DeSantis will provide analysis during the men’s segments with Coach Pam Roecker doing the same for the women. 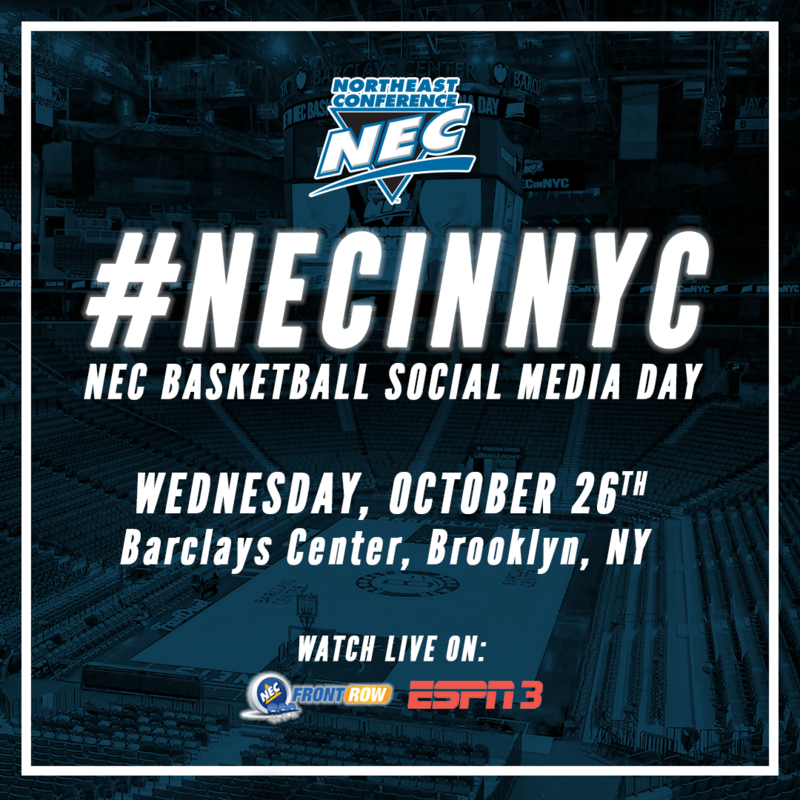 It is Social Media Day, which means that fans and viewers are encouraged to joined the conversation using the #NECinNYC hashtag. You may see your comments/questions/insight featured during the program. Fan Poll Results will be announced during Wednesday’s live on-air program.